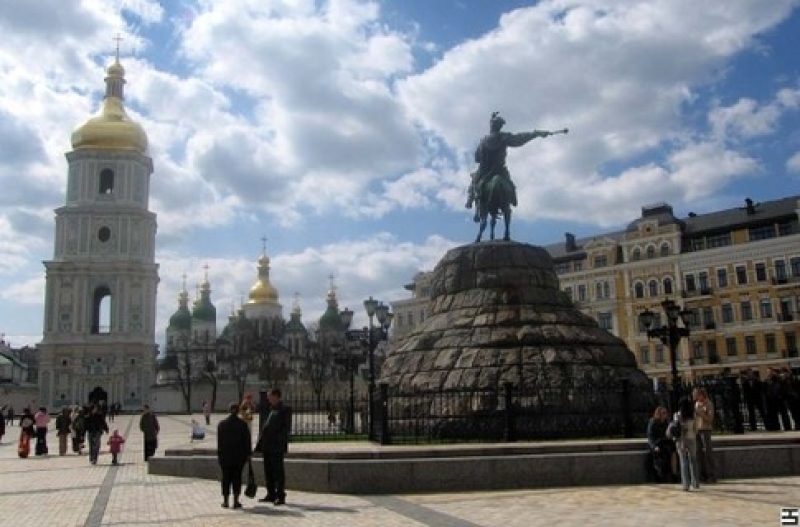 Kiev city tour + St.Sophia Cathedral (auto Lux) - online booking - Tour operator "New Logic"
During panoramic city tour we will show you Kiev the capital of Ukraine and the cradle of Eastern Slavonic states of Ukraine, Russia and Belarus. It is a beautiful city with its centuries-old history and rich culture. St. Sophia's Cathedral (1037) is the most vivid example of the Old Rus architecture and monumental art for this place, was built and decorated when the state of Kyiv Rus was living through the peak of its prosperity. The tour includes visit to Vladimir’s Cathedral the most prominent sacral painting complex of the late XIX c. You will examine magnificent mosaics and frescoes of St. Sophia Cathedral the oldest temple in the Eastern Slavonic states built in the beginning of XI c. You will enjoy amazing view of two golden-domed monastery complexes while walking along Sophiiska and Mykhailivska Squares. The tour continues to St. Andrew’s Church a striking piece of baroque architecture of XVIII c. built according to the designs of well-known architect B.Rastrelli on the top of Vladimir’s Hill. Andriivskyi Uzviz (Descent) that starts from St. Andrew’s Church will impress you with its unique atmosphere. It is a short street meandering down through luxuriant vegetation of Vladimir’s Hill to the picturesque Podil. Here grand princes were crowned and buried, formal ceremonies and receptions of envoys were help, the first known library in ancient Rus and the first school for boys and girls were founded by Yaroslav the Wise. The Cathedral was known as a seat of Kiev Metropolitan. The interior has survived from the 11th century and there have been practically no alterations. Mosaics and frescos of the 11th century, executed with a unique technology, which depict Scriptural scenes, individual figures of Church Fathers, Apostles, warriors and maidens, are of a great value. Note: +5 USD / 4 Euro / 93 UAH museum fee per person. In case of small group 1-9 pax - there is a fixed PRICE of 32 USD / 29 Euro / 820 UAH per group. The duration of excursion 4 hours. Prices are valid for next languages: Rus/Eng/Ger/Fra/Spa. Prices for other languages are upon request.